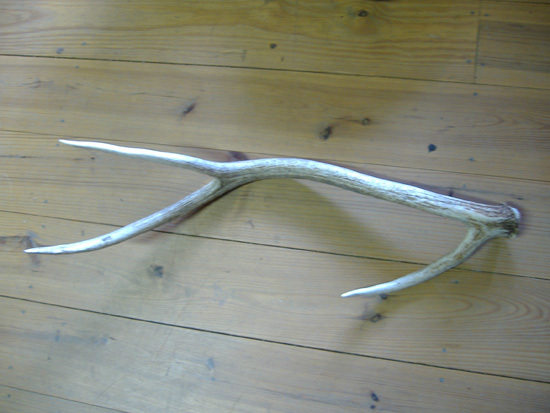 The main beam length off this Axis Buck measure 27 1/8. The base measurement is 4 6/8". The length of the first point is 8 2/8". Length of second point is 8 7/8". Mid length beam measurement is 3 6/8".